Fourth and fifth grade students are participating in the Global Read Aloud by reading Amal Unbound, a novel about a young girl forced into indentured servitude in Pakistan. 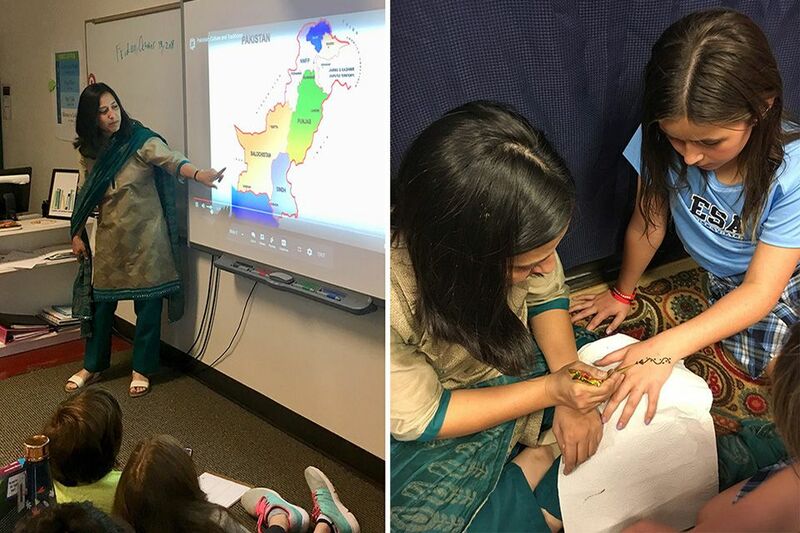 Guest speaker Faryal Atif taught students about the culture of her native Pakistan. They were able to enjoy a taste of chai, folk music and henna, while comparing and contrasting the book and the information provided by Faryal.